If you’ve been following the Walt Disney World news lately, you know that Hollywood Studios is being largely reimagined to include Star Wars Land and Toy Story Land. So the big question is…Should you spend time and money visiting Hollywood Studios during this transitional period? If this is your first visit to Walt Disney World or likely your “once-in-a-lifetime” visit, by all means spend a day at Hollywood Studios. Likewise if you are traveling with a group of people that all measure up to the height requirements and enjoy thrill rides, Hollywood Studios has a couple of the best attractions for adrenalin junkies – Rock ‘n’ Roller Coaster and Tower of Terror. Or if you are a diehard Star Wars fan, the Star Wars Launch Bay, Symphony in the Stars fireworks show, updated Jedi Training: Trials of the Temple, and new Star Wars: The Force Awakens scenes added to Star Tours should make the admission cost worth it. However if your family does not fall into one of these categories, I would consider not visiting Hollywood Studios during the transition. If time or money is an issue, you can safely skip this park on your next trip and not worry about missing too much. Also if you have younger children that don’t measure up to the height requirements of most of the attractions and don’t like to sit still for shows, there will be little for them to do in Hollywood Studios right now. Instead of Rock ‘n’ Roller Coaster ride Space Mountain in Magic Kingdom. Both are indoor, dark coasters. Instead of Star Tours: The Adventures Continue ride Mission: SPACE in Epcot for a different take on space travel. 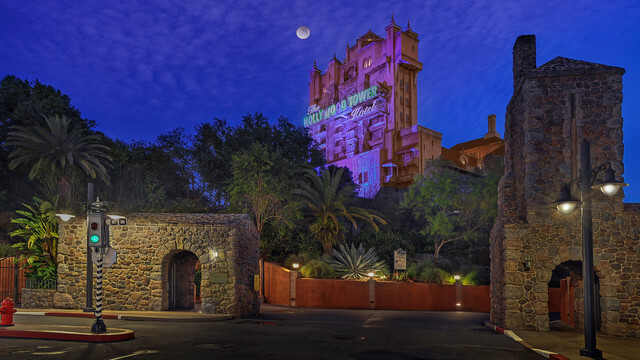 Instead of The Twilight Zone Tower of Terror ride Haunted Mansion in Magic Kingdom. Although the ride systems are completely different, both are dark, spooky attractions. Instead of Toy Story Midway Mania ride Buzz Lightyear Space Ranger Spin in Magic Kingdom. Both are Toy Story themed attractions that include a blaster game. Instead of Beauty and the Beast – Live on Stage visit Enchanted Tales with Belle in Magic Kingdom. Both include many of the same characters, and with Enchanted Tales your child has a chance to be one of the participants as an added bonus. Instead of For the First Time In Forever: A Frozen Sing-Along Celebration visit Elsa and Anna in Magic Kingdom. Instead of Voyage of the Little Mermaid ride Under The Sea ~ Journey of The Little Mermaid in Magic Kingdom. Both include much of the same characters and music, but the Magic Kingdom version is a more entertaining ride-through attraction. No matter what you ultimately decide, you’re in Disney World so you really can’t go wrong! To visit or not to visit – what do you think?